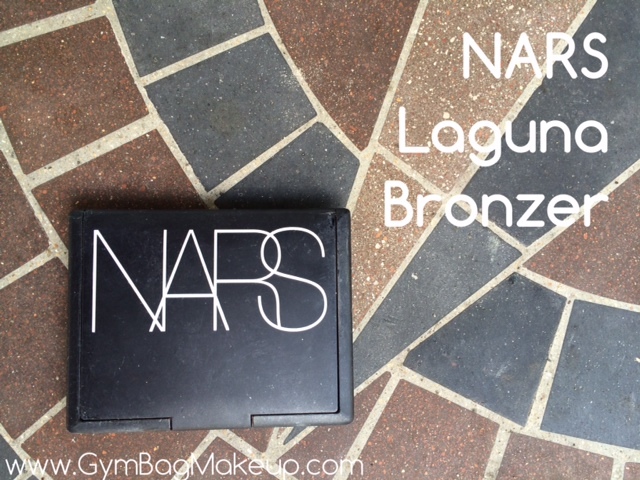 Do you remember a few years ago when NARS Laguna bronzer was THE THING to have and every blogger/vlogger/guru talked about it all the time? Pepperidge Farm remembers. I haven’t heard anyone mention it in quite a while now so maybe that’s a testament to how fickle beauty fads can be. Obviously I purchased Laguna (or we wouldn’t be discussing it now) and I’m currently in the process of trying to use that sucker up. NARS packaging gets gross. I think everyone already knows this but in case you were unaware, it’s nasty. I cleaned this up and it still looks pretty bad. Basically over time, the packaging turns into glue. Fun times! 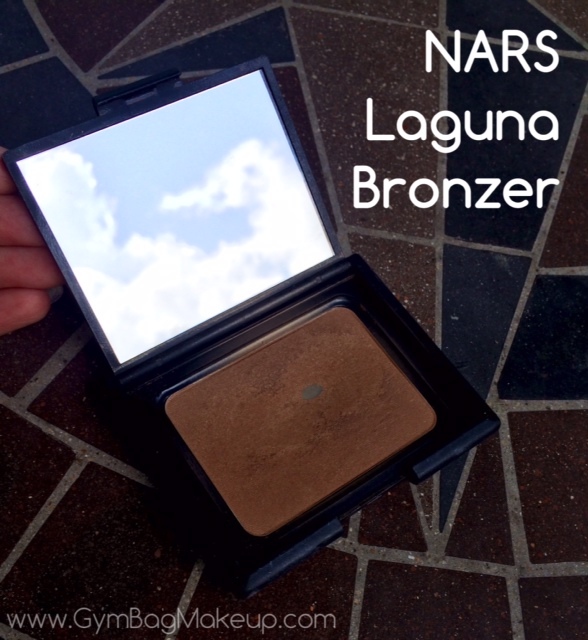 NARS bronzers do have a really nice mirror and there have been many days when this mirror is what I use to apply my makeup. Particularly if I’m getting made up in the locker room and people are hogging the actual mirrors. 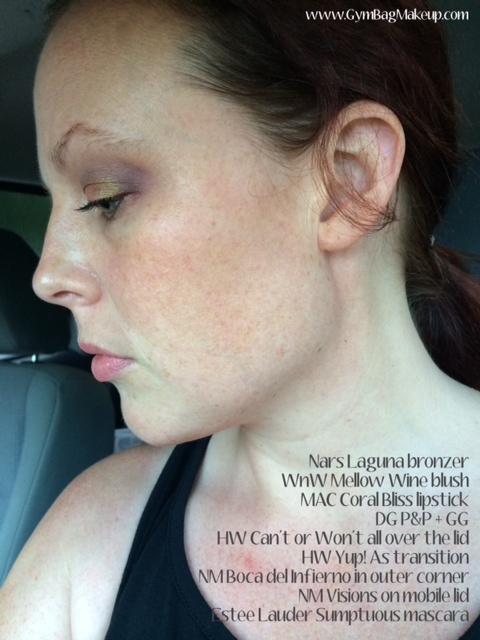 “Diffused brown powder with golden shimmer” NARS’ color description is pretty accurate. I HIT PAN!!! 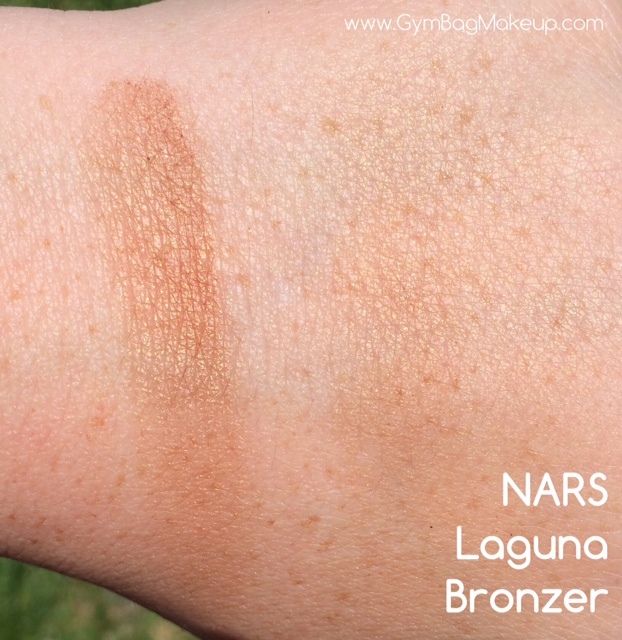 On the face Laguna reads as basically matte, but you can see that it does actually have a sheen to it. Indirect sunlight Swatch on the left is quite heavy while swatch on the right is blended out slightly. 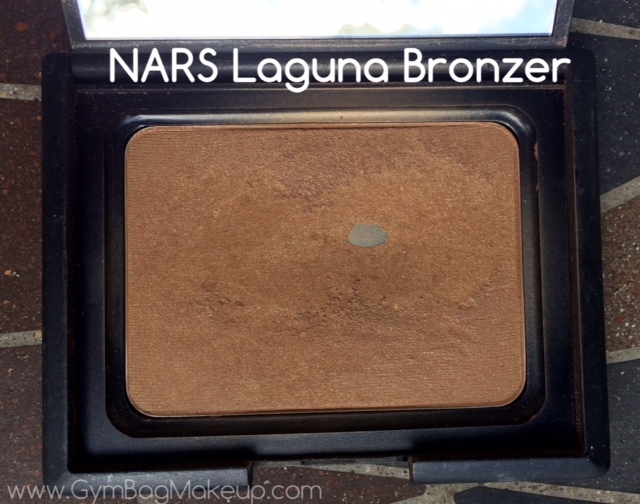 As far as bronzer goes, this is a relatively warm toned one. It never reads as orange for me but it is definitely not in the taupe family. 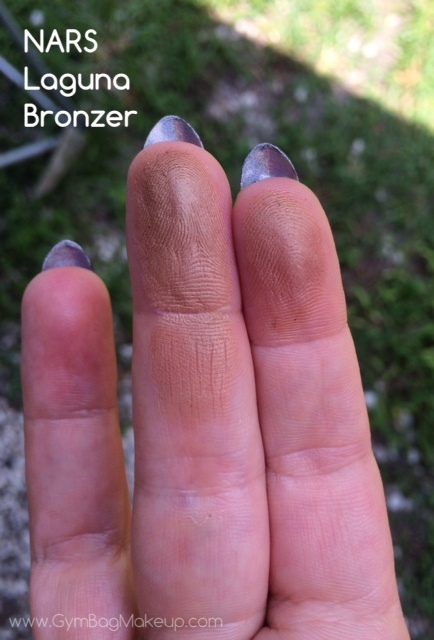 Bronzer is tricky for me in that I’m relatively pale but I am also a freckle monster. 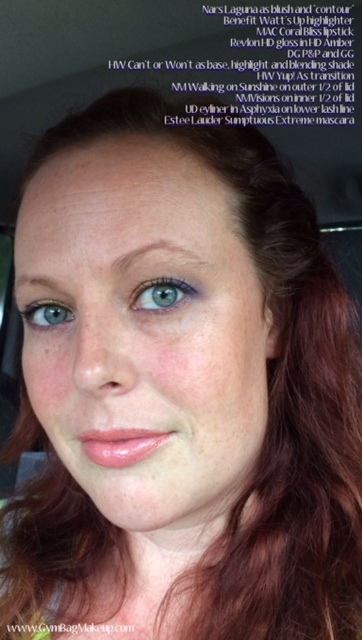 So basically blush or bronzer that is dark enough to show up against the freckles can look really garish over all, but if it is lighter (as would be befitting a fair skinned person) my freckles will just eat it up. The thing that I like the most about Laguna is that it’s very subtle on me and it’s rare that I apply it way too strong. The flip side is that if I really try to build this up it goes from sunkissed to muddy in a hurry. Luckily it blends easily so that isn’t normally an issue. Availability: I purchased mine from Sephora but NARS has actual boutiques and you can also purchase from their website directly. 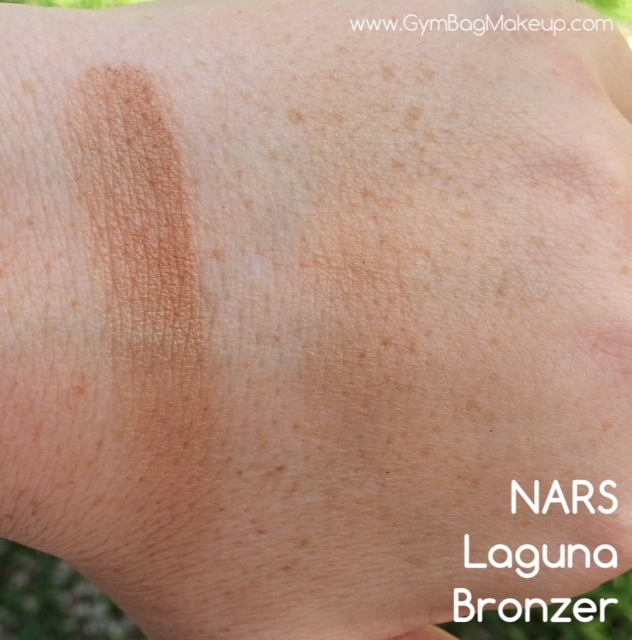 Overall I enjoy Laguna, it gives a pretty and subtle sunkissed look and I like the ease of application. I won’t repurchase once I use this up because I feel there are similar products on the market for a fraction of the price. As nice as this product is, there isn’t anything so special or unique about Laguna that I can’t find a solid substitute elsewhere. Do you have Laguna? What are your thoughts on it? Let’s reminisce about beauty fads of days past! I’ve caught a cold! Who catches cold in the middle of August? Thankfully I’m mostly better now. I made biscuits from scratch for the first time last night and they weren’t half bad! The Pepperidge Farm remembers joke really got me, I literally lol’d. You bought your own domain!! Congrats! I’m going to as a reward to myself once I finish studying, haha. WordPress is actually doing something strange with my domain, I’ve had my own for almost a year but they suddenly changed my address for a while. It’s strange. At any rate, getting your own domain is exactly the perfect kind of thing to use as a reward for something! What are you studying? Hitting pan is amazing right?! I’m homeschooled, so I’m actually finishing my hiset right now before starting college in fall, haha.